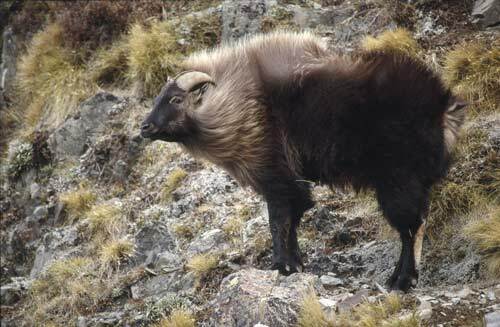 Himalayan tahr (Hemitragus jemlahicus) were introduced to the central Southern Alps in the 1900s for game hunting. They have thrived in the alpine environment and are a major pest of subalpine and alpine ecosystems. They feed on native tussock grasses and herbs, and trample vegetation. Many ecologists have called for the eradication of tahr from New Zealand’s national parks and reserves, but this action has been opposed by recreational hunters. Sorry, but I'm afraid that Colorado flowers are outside our area of expertise. I found a white flower with purple spots on the inside at 13,000 feet in Colorado. It looks like some kind of Gentian. how can I send a picture to you for your opinion?